Alright everybody! Here is my breakdown of WEEK 1!!! Eeek!! Ok so maybe some people will roll their eyes at this but I am so proud of Jacob and I that we have finished one full week of eating WHOLE FOODS! Y’all, that means I can pronounce everything I ate this week haha! 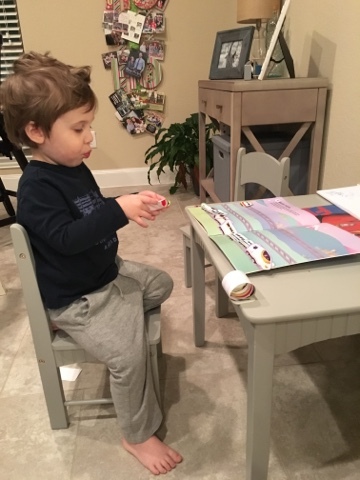 But really, it’s amazing how much you just grab and go, or how often I would steal stuff from my toddler here and there… this lifestyle change has definitely made me see food differently and I love how it’s making me feel. I’m still in that kind of tired stage while my body is adjusting to processing food differently but overall I just feel so much better. What I want you to see though with this post is that this is something anyone can do. If you’ve been thinking, “Hey, I’ve heard of this, it might be worth a try but whoa I cannot give up my (fill in the blank) for a whole month! That’s Cray Cray! !” But really, it might be hard at times, but if you want to do it you can. It’s the way with anything in life, might be hard at times but overall we do what we want to do. 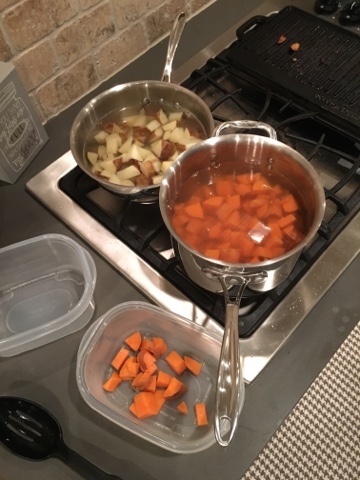 🙂 The meal preps definitely take time, but what I noticed is that the meals I’m preparing were simpler than they used to be, so my time in the kitchen was kind of just rearranged a little. I may be cooking more at dinner but then less at lunch because I just reheat leftovers. Another thing I’ve noticed is that my grocery bills have stayed about the same. I was under the impression that you spend SO much more money eating this way but that’s not the case. I’m not buying cases and cases of granola bars and cereal anymore, so that money can go to meat and produce. Besides that, we’re not eating out as much as we did before so that saves money there too. If you think it’s a lot of foods to cut at once, start out with one thing like dairy or cokes, then another thing here and there, add a whole foods meal here and there until you get used to that kind of way of thinking and then fully commit to the month. I feel like that’s what we did and it made an easier transition. My breakfast, lunch and snack options will probably be basically the same for my meal plan posts. I may add something if I find another good idea, but these are pretty basic. 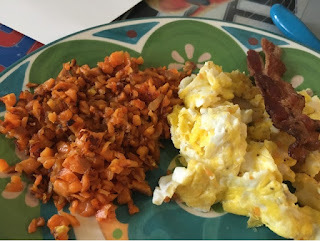 There are a lot of good breakfast casseroles out there so if I find a good one, I will post that as well. I love the idea of making a casserole on Saturday evening and having it in the fridge for a few days for us to just grab breakfast and heat it up. My dinner plans are listed at the bottom. I will briefly explain or list recipes I chose, and link them or reference the book if you are interested in that. Again, hopefully my pictures don’t gross you out haha… food is like that in pictures… either looks really good or just kind of weird. P.S. most of the things I made have pins, so you can see them on my Whole30 board here. Sunday Lunch – Sorry, no pictures to post here haha! When we got home and got that baby down for a nap we chowed down! For dinner tonight we will probably bring snack stuff to eat in the car on the way to church and then just have some eggs once we got home after church. Miranda’s Slow Cooker Roast – lay 3-4 strips of sugar free bacon on the bottom of your slow cooker and place rump roast on top, maybe put a slice of bacon on top too. Cook for 8-10 hours. I put this in Saturday night and let it cook all night on low for 10 hours but will probably do 8 next time. When we were ready to eat, I just pulled out the roast, shredded it and poured some of the juice on top, it was so moist and yummy! Salad – You can add any other veggies you want, artichoke hearts, olives, tomatoes… use olive oil with a little lemon juice, or basalmic vinegar as dressing, maybe salt and pepper if you want. 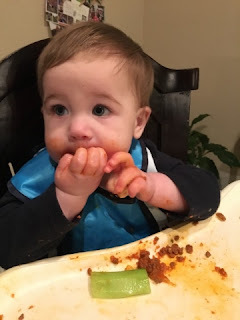 Little Jude Man even liked the spaghetti! 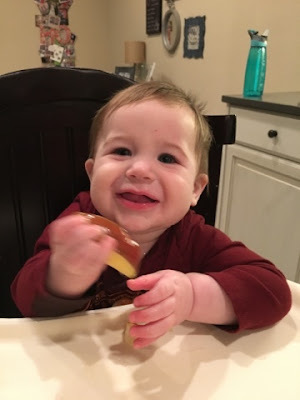 I’ve noticed that a lot of these meals so far are baby/toddler friendly as well… although Jackson is far from doing Whole30 with me haha… I would love to say that he is but yeah there’s no pealing that kid away from his fruit snacks right now! 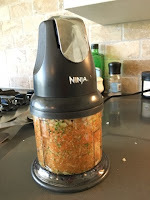 Love the Ninja Chopper for cutting up and dicing the onions, carrots and zucchini … made the meal prep super fast! 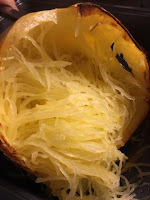 I also posted some pictures of my squash below. 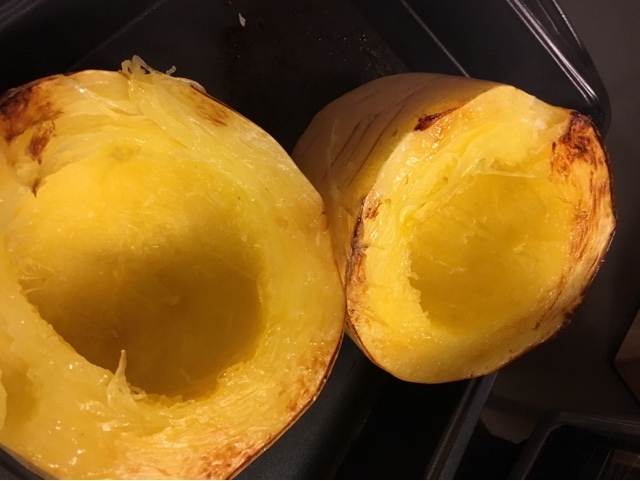 I saw on an instagram feed I follow that cutting the squash width wise yields longer strands, so it’s up to you what you prefer! I just use a fork to pull out the strands once it is done. The longer you cook it, the less crunchy it will be. 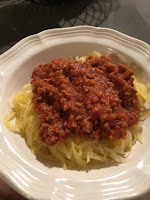 The spaghetti squash also reheated well too which I was kind of surprised about. Plaintan Nachos – Brown ground beef, drain and add a little water and homemade taco seasoning and cook for a few minutes. 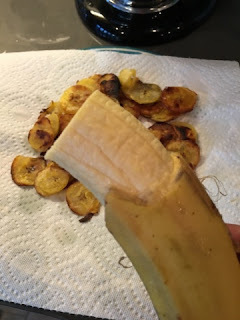 I sliced plantains really thin, then fried in coconut oil. Greener plantains are better for this. You could also bake them. 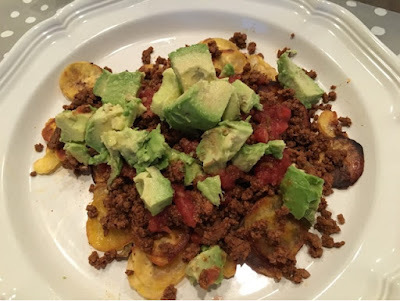 Place beef on top of plantain chips, top with tomatoes, avocado and salsa. My new obsession. I peeled as I went to help grip the plantain while I was slicing it on the mandolin. 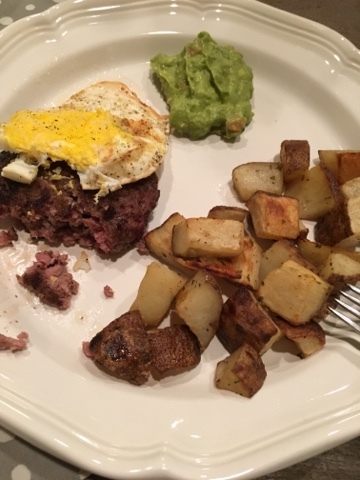 Probably my most favorite meal so far… I thought Whole30 was supposed to get rid of food addictions, not start new ones haha! Leftovers – Jacob always meets the boys and I at church on Wednesday nights so I will just have leftovers or something quick before we go! Kale Balsamic Sausage – Slice sausage links and heat in skillet on stove until warm and a little brown around the edges. 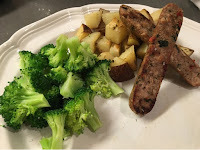 I couldn’t find the chicken apple sausage at our HEB, but plan on looking again this week. However, these were a good replacement. Full of flavor and had a unique taste to them! I went to the grocery store Friday evening so definitely was pushing it with dinner. 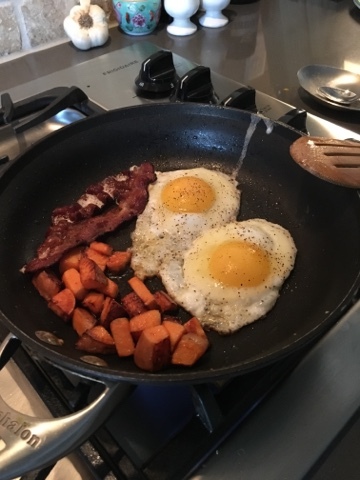 Didn’t have time to make the fancy egg buns so I just fried up some eggs and threw them on top. Also reheated potatoes from the night before. SO yummy! Plantain Chips and Salsa – You can buy plantain chips but they are not hard to make. See pin/recipe here – slice plantain thinly, heat up coconut oil in pan and fry chips. Saturday – We actually did leftovers tonight just trying to clean out the fridge before next week. I went ahead and left my plans below though for you if you needed something else, and for myself when we repeat haha! Erica’s Baked Chicken – Season chicken thighs with sea salt and black pepper, garlic powder and a little paprika. Bake in the oven at 350 for 30 min. Baked sweet potatoes – Slice sweet potato, cut up into smaller pieces if you want, brush with coconut oil and sea salt if you are in the mood for a salty taste or cinnamon if you are in the mood for sweeter taste! Bake at 350 for 30ish min. Roasted veggies – Slice zucchini, squash and lay on baking sheet, brush with olive oil and sprinkle with garlic powder, salt and pepper. Bake at 350 for 15ish min. Adjust time depending on how crisp you want your veggies. Preparation goes a long way! Jacob and I spent some time Saturday evening grilling chicken for him to take to work this week and slicing some veggies and potatoes! I tore up lettuce for salads and left some salad pieces whole to do sandwich wraps. Makes it much easier when you are grabbing stuff to cook in the evenings! 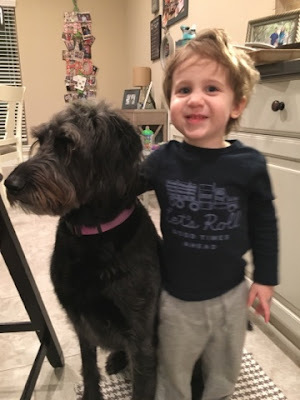 I loved this because we were all spending time together in the kitchen, playing and talking with the boys as we cooked and just talking with each other rather than sitting and watching TV or something! I was have been so proud of my hubby for jumping on this crazy idea boat with me and being so willing to help out! I also put the slow cooker on Saturday night for Sunday lunch because Sundays are SO cray cray with the boys, and I will do the same thing again this Saturday. Cut up sweet potatoes and white potatoes to heat up for breakfast with my eggs! Busy doing stickers while we were cooking! 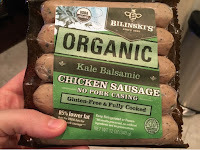 I know there’s probably not a ton of variety even thought I was trying to have variety, because I like different tastes and don’t want chicken five nights in a row… but I wanted this to be EASY. Easy so my life doesn’t get stressful doing this program and easy so other people can say, “hey, you know I think I could do this!” Cut things up earlier in the day, get spices mixed together before dinner… just little things here and there so you don’t spend a ton of time on it later. 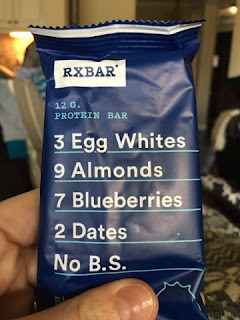 What I’ve noticed just with our first meal is that it took LESS time than normal with LESS ingredients, it had more flavor and most importantly it was all real food with names I could pronounce! Love that! Can’t wait to see how the rest of the week goes! Previous Whole30 – Getting Ready! For real! Haha I don't know if I'd be able to do it preggo! Would definitely be more challenging! They have some advice for doing whole 30 while pregnant or breastfeeding, you should check it out and see if there are any tips!